Contractors All Risk insurance ‘CAR’ (also referred to as Contract Works Insurance or Construction Insurance) typically provides All Risks cover during the construction period. It provides complete protection for all types of civil engineering works against different types of construction risks such as fire, lightning, flood, storm, earthquake, cyclone and other accidental or malicious damage. 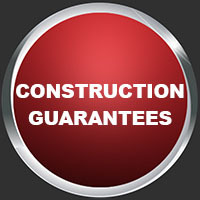 CAR contracts exclude cover for risks such as defects due to wear & tear, obsolescence (outmodedness or oldness), rust & mildew, loss and damage arising out of war, nuclear disasters, political upheaval and for faulty workmanship or faulty design.Cover for faulty workmanship, faulty design and errors & omissions are more specifically insured under Design & Construct Professional Indemnity policies. Contractors’ All Risks insurance is usually taken out in the joint names of the Contractor and the Employer. Other interested parties, such as funders, often ask to be added as a joint name or request that their insurable interest be noted on the policy. Most commonly, CAR policies are underwritten on an Annual basis – covering all projects for the year as well as plant and machinery. But they’re also available for Single projects. The Sum Insured should be the fully completed value of the Contract Works, inclusive of all materials or items supplied by the Employer. This Policy is issued on a Once-Off basis. When you’re awarded a tender, we’ll provide a quote based on the value and risk profile of that specific project. The cover will end when the project is complete. This policy is slightly more comprehensive than the Once-Off cover. You’ll be quoted on your company’s Annual Projection figures and Maximum Contract Value. An Annual CAR policy will cover all projects your company undertakes for 12 months. The premium for this cover is generally lower that for a Once-Off policy. Why is Contractor’s All Risk insurance necessary? Construction projects typically involve two primary types of risk: damage to the property, and third-party claims for injury or damage. Contractors All Risk Insurance covers the work you are currently doing on a building site and can be structured to pay for the cost of repairing or redoing anything that’s damaged or destroyed, including the cost of the labour, materials and tools. For example, if you were halfway through building an extension on the home of a customer and that extension was destroyed by fire, who would pay the bill? The homeowner would be responsible for damage to the existing structure but as the Contractor, you would be responsible for the Contract Works. With Contractors All Risks insurance, the insurance company will pay for the partially completed extension to be re-built, so you don’t have to. Without this level of protection, having to pay for the materials and labour costs in rebuilding the extension could cost a small fortune and may even render your company bankrupt. The responsibility for getting Contractor’s All Risks insurance falls to the Contractor. But the policy can also be useful to several different trades including: Plumbers, Carpenters, Electricians etc. 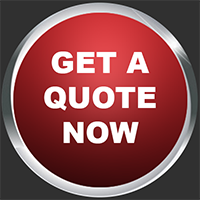 To ensure you get the right cover for your needs, It’s best to discuss it with us before purchasing your policy. The policy provides cover on an All Risks basis for physical loss or damage to the insured property. The Contract Works should cover the full replacement value of the work being undertaken i.e. the cost of rebuilding at today’s prices. Employer supplied materials (Free-Issue Material) should be insured too and some policies require that the professional costs (including architect and legal fees) as well as debris removal be a part of this declared value. Very often the Employer will supply their own goods or materials e.g. the floor tiles in a house construction. These can be included in the insurance so long as their value has been declared in the Sums Insured. Definition of Free-Issue Material: Material supplied by the Employer for incorporation into the Contract Works without charge to the Contractor. The most common claims on Contract All Risk insurance policies, involve theft of materials, materials being damaged whilst en route to site, surrounding property being damaged whilst the project is being completed, rain falling on exposed parts of existing structures, damage by storms and lightning. Just because this policy is broad doesn’t mean it covers absolutely everything. Every insurance policy has limits. Most CAR policies cover your tools and equipment while they’re on the job site or in transit. However, some policies might not include expensive equipment such as bulldozers or diggers. Furthermore, while your equipment may be covered, the equipment belonging to your subcontractors might not be. CAR insurance is designed to cover accidents. But what happens if an accident on the project site is your fault? Depending on your policy, if you or one of the other insured parties are found to be at-fault for an incident, a CAR might not cover it. While your CAR policy may cover your tools and equipment while they’re in transit, it probably won’t cover your work vehicle. If one of your employees gets in an accident on the way to the job site while driving a company vehicle, or you accidentally back your work truck into a concrete support beam and dent it, you’ll need additional coverage to make sure you don’t suffer a financial loss. Loss due to delay or loss of any kind or description whatsoever including penalties, lack of performance, loss of contract, liquidated damages. Existing Property – unless it’s been specifically included in the cover. Every insurance policy is different. It’s important to read through yours, especially the exclusions, to make sure you understand what is covered and what isn’t. Asking us to help you go through your policy carefully before you buy it is the best way to make sure you’re properly insured. What does Contractors All Risk cover include? What is not covered by a Contractors All Risk Policy? What is Plant All Risk Insurance? Your onsite machinery (plant) is vulnerable to a number of problems such as breakdowns, vandalism and theft. Missing a project deadline can be bad news for your bottom line as well as your reputation. Plant All Risk Insurance covers you for loss of, or damage to, construction plant and equipment whilst in storage, transit, on the contract site or being use as a tool of trade. Does a Construction All Risk Policy cover damage to surrounding property? Yes, damage to surrounding property is covered by a construction all risk policy, provided it’s included as an add-on to the Contract Works cover. This means an extra premium would be charged to get the specified surrounding property covered. A Latent Defect is a defect that is not detected by ordinary inspection, but lies hidden until sometime later, when it’s discovered because it causes a problem that everyone can see. An example of latent defects would be weak concrete in part of a bridge column, that looks the same as strong concrete, but collapses when a heavy truck drives over the bridge. How Does a Contractor Claim For An Extension of Time? A Contractor can claim for an extension of time, thus extending the Due Completion Date for a project. He can also claim for any costs which will increase due to being on site for longer (called time-related General Items). What is the Defects Liability Period? The Defects Liability Period starts when the Certificate of Completion is issued and continues for the period agreed to in the Contract. During the Defects Liability Period, the Contractor has to obey all written instructions from the Engineer to carry out repairs and fix any defects which appear in the Permanent Works, so that, at the end of the Defects Liability Period, the Permanent Works are in the condition required by the Contract. Practical Completion doesn’t mean the Contractor has finished the Works in every detail. It means the Works are sufficiently complete to be safely used by the Employer for the purpose he intended. The Contractor may still complete minor items and fix defects after Practical Completion, as long as the Employer isn’t inconvenienced. Why is a Contract Works Policy Necessary? When it comes to planning a new construction project, insurance doesn’t always get the priority it requires, with contractors often wondering whether it is really necessary to take out a contract works policy at all. Very often the contract works policy is arranged at the last minute, or even after the project has already started.